Ball Joint, Tie-Rods, Pitman-Arm, Idler-Arm, etc. Ball Joints are a very crucial part of your steering and suspension system. They do not need to be replaced on a routine basis, but a good rule of thumb is to have them checked at every oil change. Older models may need to be greased. 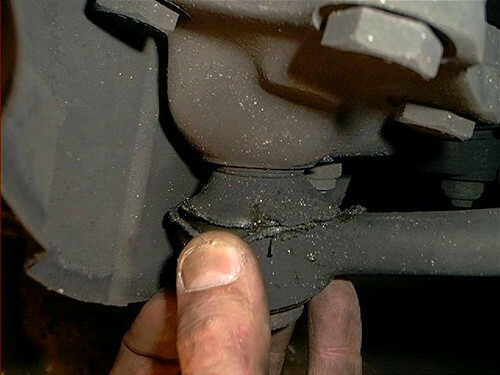 Some signs that your ball joints need to be replaced are uneven tire wear, your vehicle will pull to one side while driving and you may hear a “knocking” noise. Tie Rod connect your steering gear to your wheels. Its primary job is to keep your wheels in alignment and prevent wear and tear on either the outer or inner edges of your tires. Some signs that your tie rods are wearing out are your vehicle is pulling to one side, your steering wheel shakes and your tires are wearing out faster than they should. Pitman Arm attached to the gearbox, role is to steer your vehicle by turning the wheels. Having routine maintenance done will keep this part at its best for the life of your vehicle. Best to have it looked at before you reach the 30,000 mile mark. Some signs that your pitman arm needs to come in for an inspection are if you have loose or excessive “play” in your steering wheel, vehicle pulls to one side. The most severe issue, if your pitman arm fails completely you will lose all ability to steer your vehicle. Idler Arm are what connects the end of the tie rods to your wheels. It provides the swivel movements. Like the pitman arm a sign your idler arm is failing is there will be excessive play in your steering wheel. Some signs that your idler arm needs to be looked at are very similar to the above: Excessive play in your wheel and if your vehicle tends to weave back and forth all on its own. As you can see your vehicle’s steering and suspension is a very intricate system. It is also a very crucial system to have inspected on a regular basis for safety reasons. Our experienced mechanics will keep your steering and suspension system in “tip top” shape while keeping you and everyone safe on the road.